Heat oven to 350ºF. In large resealable food-storage plastic bag, place cookie dough, flour and decors. Seal bag; squeeze to mix. 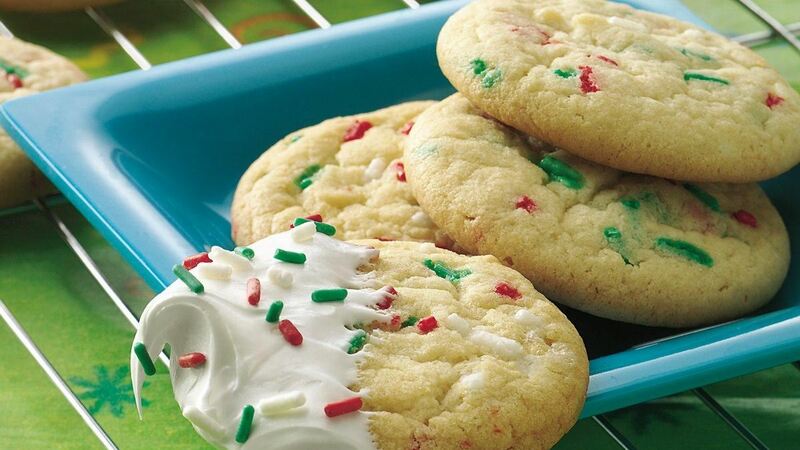 Tip: Children will enjoy dipping these cookies in frosting and adding holiday decors or sprinkles. Purchasing: Pillsbury* Sugar and Gingerbread Cookies are only available during the Christmas baking season. Look for them at your supermarket mid-November to January.